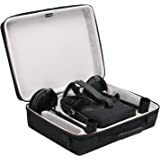 Protect your favorite device from bumps dents and scratches.Lightweight and easy to use, this case features a comfortable, integrated handle. 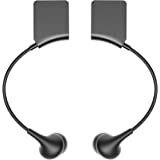 Made to fit for HTC VIVE Pro Virtual Reality Headset,DURABLE DESIGN that won’t crack or scratch during travel. Rugged construction won’t flex under pressure. Imapact protection from dense pick and pluck foam that lets you customize the interior and protect your valuables from damage. Delicate electronics are stable and secure.All-around zipper keeps device secure. Made of Supreme Quality Durable EVA Anti-Shock, Weather Resistant Material. 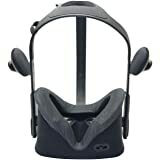 Easy to carry Outdoor with hand grip Easy access to your Dell - Visor Virtual Reality VR with Zipper opening.12-month warranty. We take responsbility for our products, pls contact us once there's anything we can help. We'll offer a satisfied solution within 24hours. 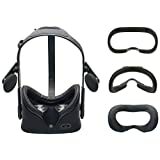 The interior is filled with dense pick and pluck foam, so you can customize the fit to support and protect your delicate Htc Vr Headset case. This thick padding means your Oculus Rift + Touch and accessories won’t shift during travel and they will be protected from impact. 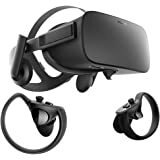 You’ll find this Oculus Rift + Touch VR carrying case easy to handle, and its rugged design means it won’t crack or scratch in your travels. 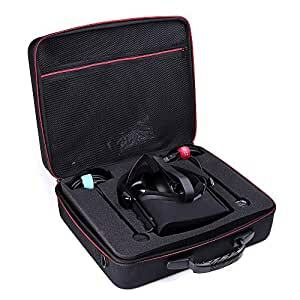 This Oculus Rift + Touch carrying case has no plastic smell, and the integrated handle is both comfortable and convenient. 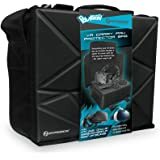 Not only will this durable case protect your Virtual Reality System equipment from dust and dirt, but it’s also strong enough that it won’t flex, even under pressure. Your VR will be safe, secure, and protected from damage. 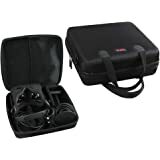 This Carrying Case Bag for VR Headset is perfect for carrying your Base Stations , Sync cables, Cables, Headset , Controllers, Chargers and other equipment you need to protect from impact.